note: I had been extremely inconsitent with training back and haven't increase reps or weights for nearly 3 months, need to take a break for this plateu. I notice the most progress in your traps. Don't forget to hit them legs. You have a wide back for your frame. Keep up the good work! Yeah, Its hard when living on campus at uni, with no options of cooking my own food, Getting serious again, no more skipping sessions when feeling bad, and actually sticking to my routine. The past 6 weeks (before last week) i was just cutting excess bodyfat down that i gained over the weeks around finals! 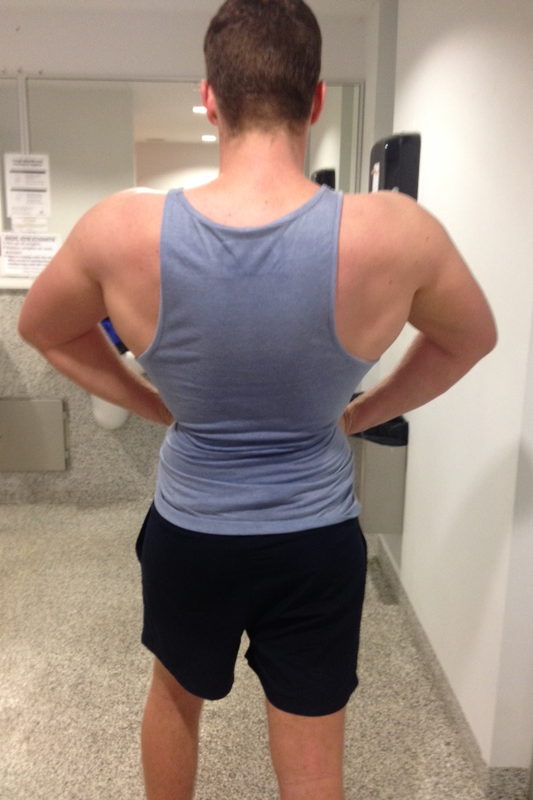 Nah I actually have a Very Big frame, My back is about right for it. people tell me they've never seen someone wider than I am. and Yeah bro! Just began training legs again after a huge layoff! Nice taper and I see a good amount of added thickness. Nice tapper. Hit those calfs and get some sun. Help show off definition. looks like you're on right track. keep up the good work!